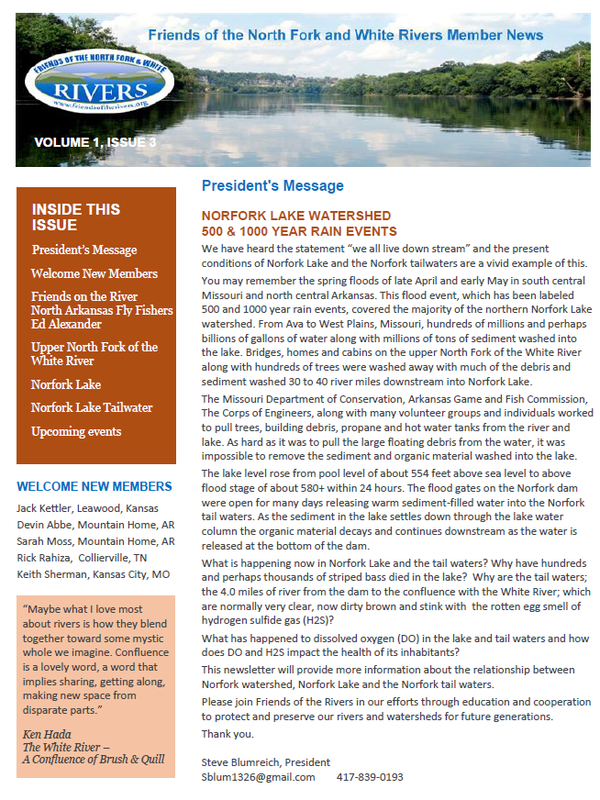 This issue of our newsletter will provide more information about the relationship between Norfork watershed, Norfork Lake and the Norfork tail waters. Friends of the Rivers is dedicated to protecting Norfork and we hope you will join us in our efforts. We worked through public education and advocacy with various state and local agencies to protect North Fork River and other streams and rivers in our watershed. Click on the picture at right to access the newsletter in pdf format. Please contribute your stories, photos and experiences on our streams and rivers so we might share them with Friends.